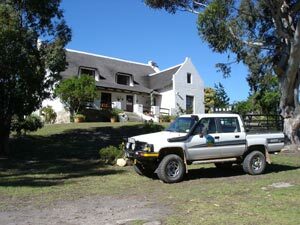 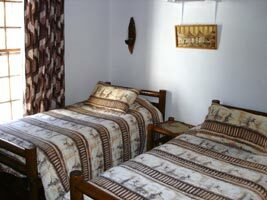 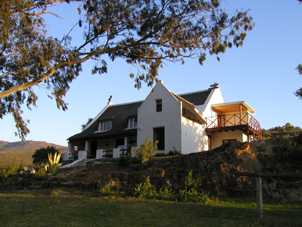 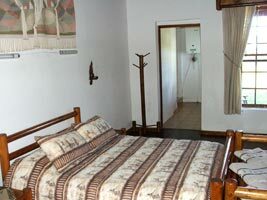 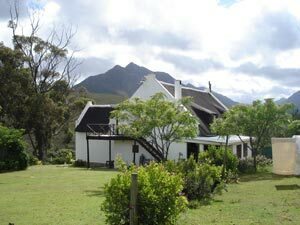 The Farmhouse has a family room with en-suite bathroom and also a double/twin room. 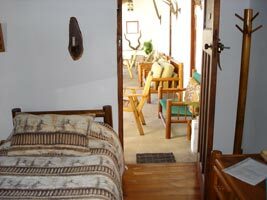 The ouside room offers a twin or double option. 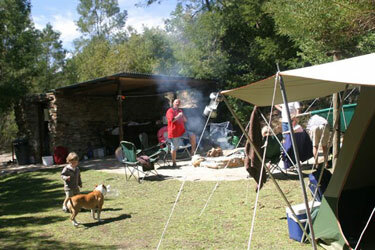 ... and in the evening, sitting around the camp fire, the day might go through your mind while you look at the star spangled sky. 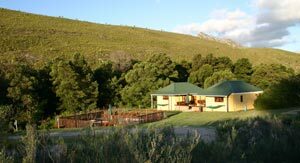 Please bring Towels for Swimming! 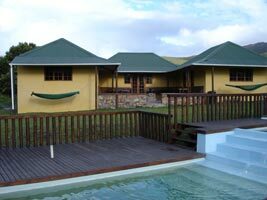 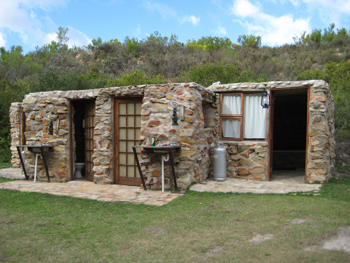 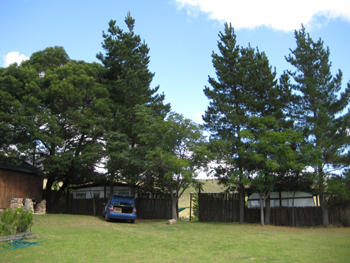 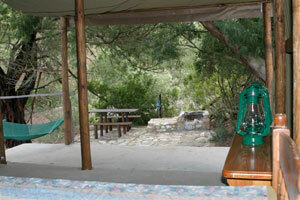 The self-catering Chalet with swimming pool, has 4 rooms with en-suite bathrooms that can accommodate up to 16 people. 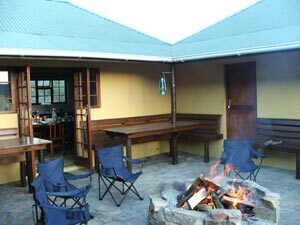 There is a large chalet with four en-suite bedrooms and open plan lounge with fireplace, bar area, kitchen and dining room. 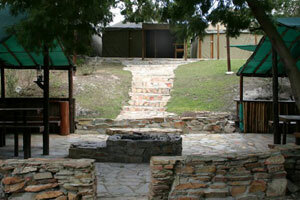 In the courtyard is an open fireplace for cooking and socializing. 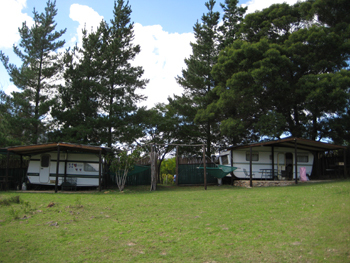 In front of the chalet is a swimming pool and kiddies pool. 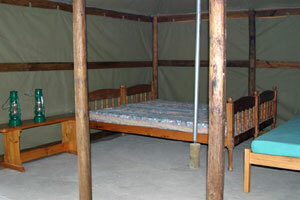 Guests can bring their own bedding or bedding can be provided. 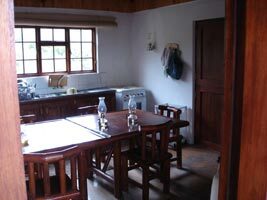 This chalet can accommodate up to 16 people and the kitchen is fully equipped for self-caterers. 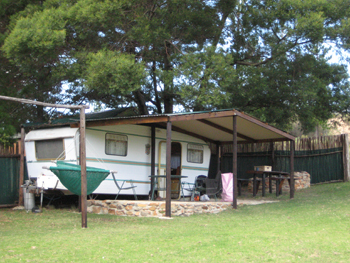 There are 4 equipped caravans with own ablutions. 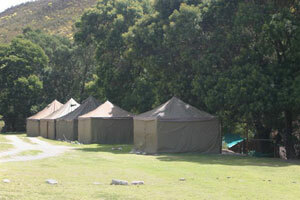 7 Tents sleeping upto 42 people, with communal Lapa and Kitchen Tent, including a gas fridge and stove. 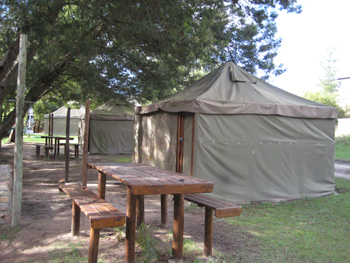 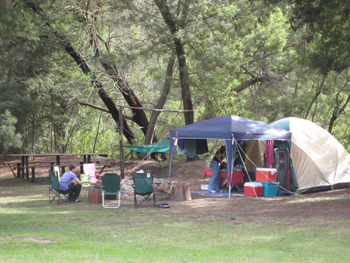 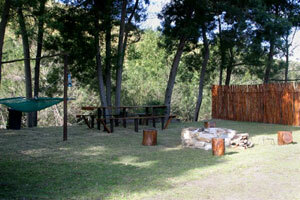 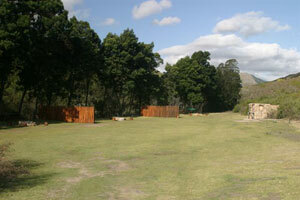 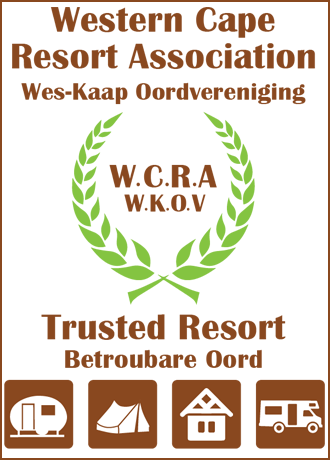 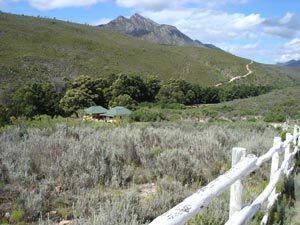 The tented accommodation offers place for groups, families and couples. 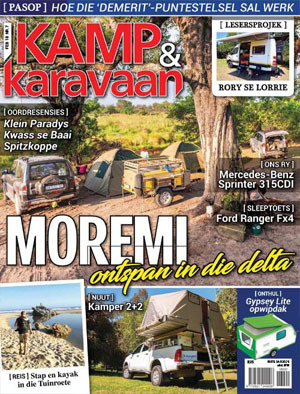 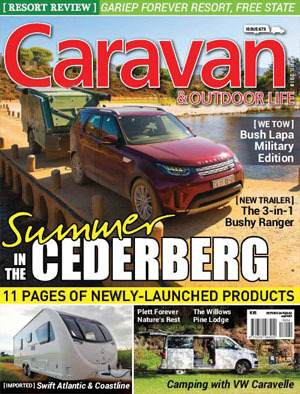 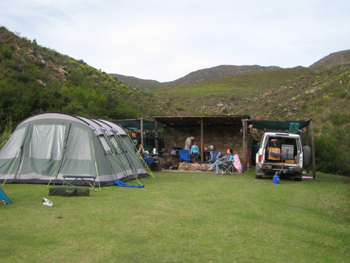 Lapa and Kitchen Tent for tented accommodation. 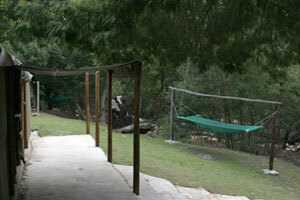 Hammock by each tent to relax. 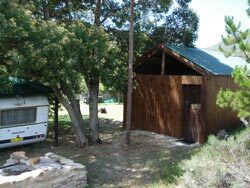 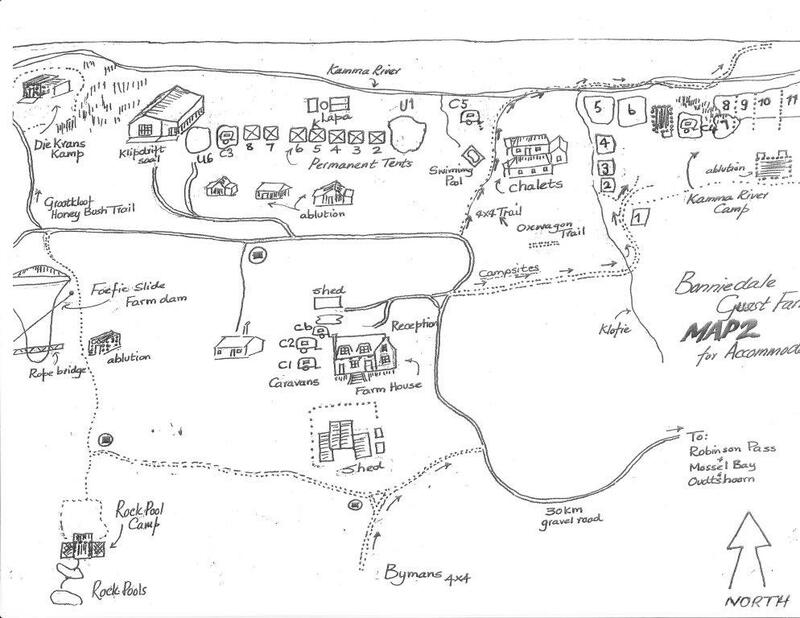 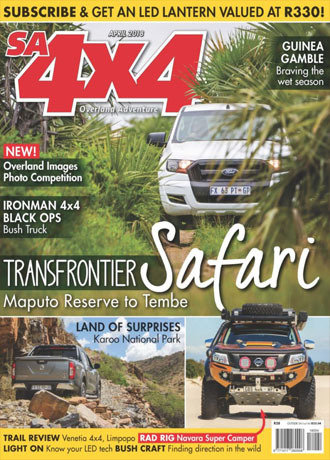 2 Secluded camps with own ablutions, underroof seating, solar powered lights and gas burner with kettle. 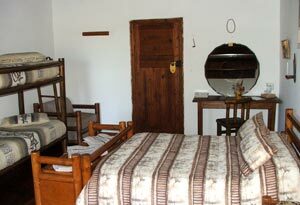 Clean, shared ablutions with baths and showers.